"‘L'endemà. Respostes per a decidir‘, a documentary about Catalonia's potential independence from Spain, produced by Isona Passola [pictured left], earned a record-breaking €150,000 on the crowdfunding platform Verkami on February 15, 2013. 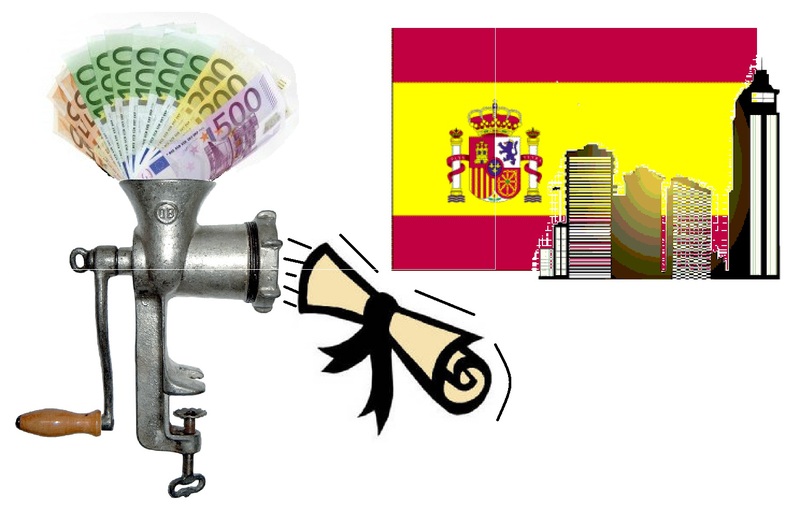 Previously, the crowdfunding record in Catalonia was €,50,000, according to the Catalan-language journal Diari Ara. L'endemà is intended to project “clear, solid, reliable and credible arguments” to combat “the fear of voting YES” in an upcoming referendum for the independence that the Catalan government is organizing, while defying firm resistance from the central Spanish government." The man at the heart of it, Jordi Pujol is a hero to many people here as he largely seen as the main person responsible for Catalonia's post-Franco autonomous powers. This part of the world (still) has a lot going for it but institutional honesty is obviously not one of the strong points. Cheating on your income tax and using the "black" or cash-economy is largely the done thing. In my experience, cheating, in whatever form, is thought to be the clever thing to do. Children do it from a very young age and at a local (wealthy) private school where I used to work, it was completely standard to cheat in tests and teachers knew about it and did not punish it. The family is probably the most important single unit in Mediterranean Europe, so favouring a brother, son or cousin is entirely normal. It is not just those at the top of the political pyramid who do this. It is a practise that is as ordinary as drinking a glass of wine here. Having connections is called "enchufe" - literally, 'plugged-in. It is difficult living here without some kinds of connections to help you advance your lot, so the common-place act is the one that scratches a friends back when they will also soon scratch yours. The latest cases of corruption are logical but extreme, grotesque extensions of some basic dishonesty. An edited version of the above text was first published under the same title at the World Voices blog. 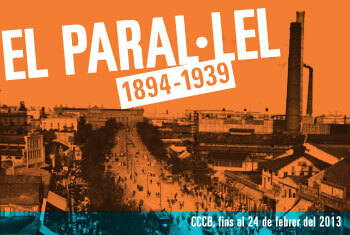 I recently visited Barcelona's CCCB to see their Paral·lel [Avenue], 1894-1939 exhibition and came away with two names stuck in my mind. I was taken with the soulful paintings of Catalan artist Isidro Nonell and by the sensuality of the actress/performer Raquell Meller, who (oddly) has a great attractivness on film but hardly any in the frozen image. The transformation of this area from a dusty and sleezy shantytown of “outsiders” into an entertainment district then into an important boulevarde is remarkable.